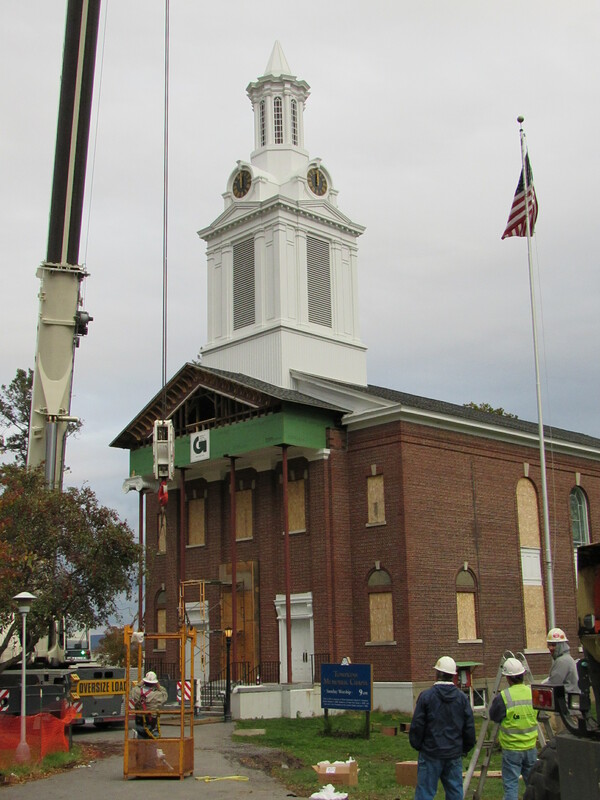 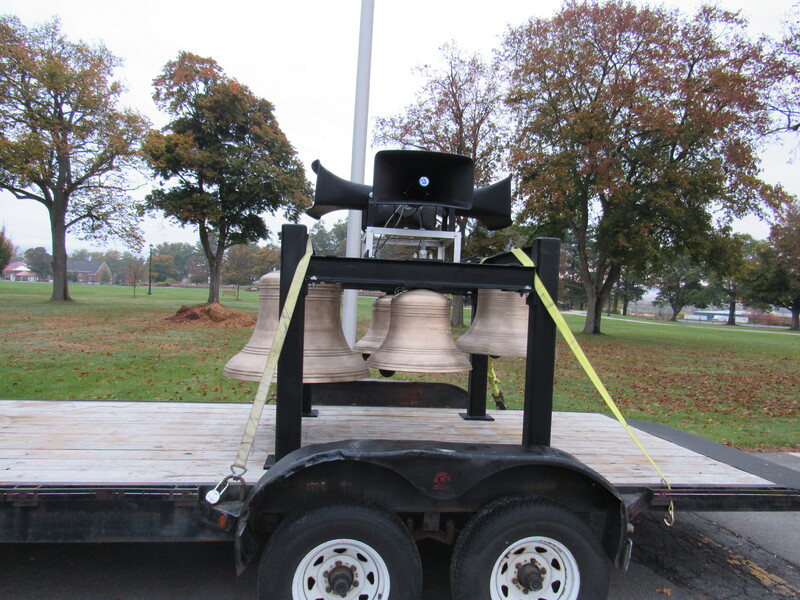 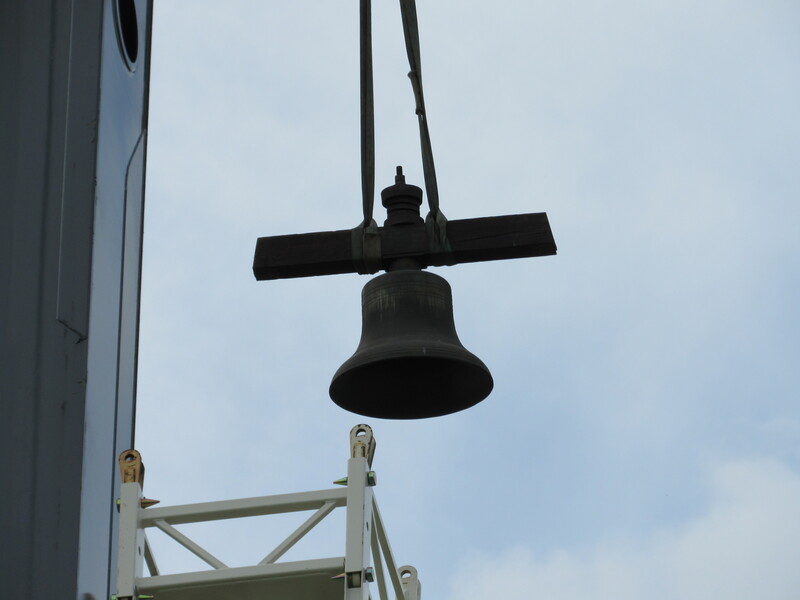 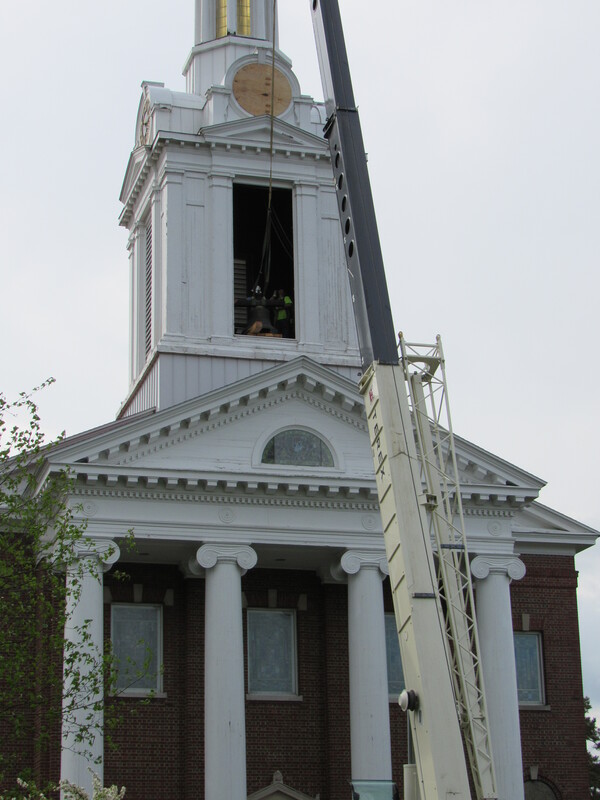 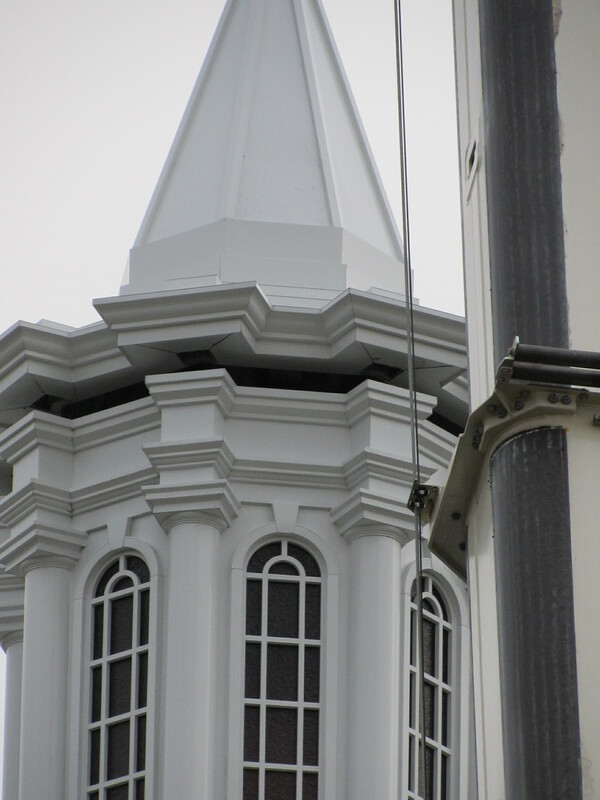 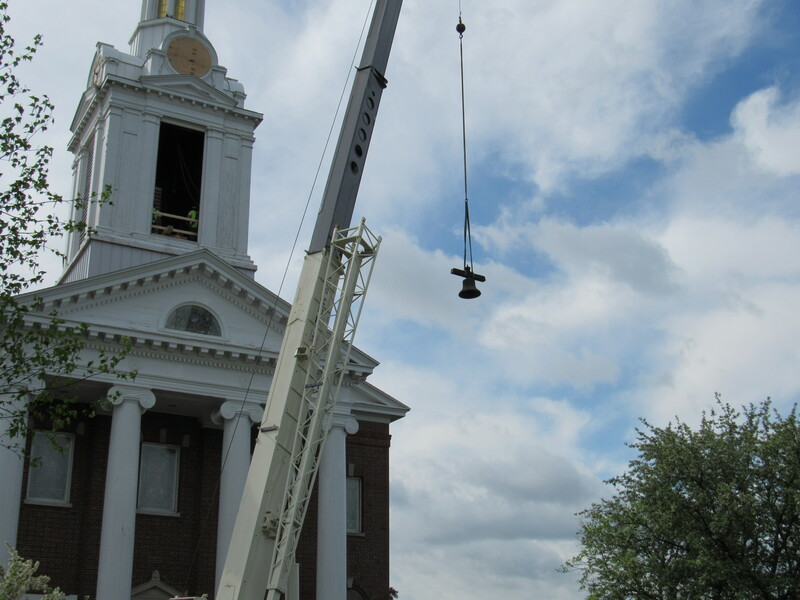 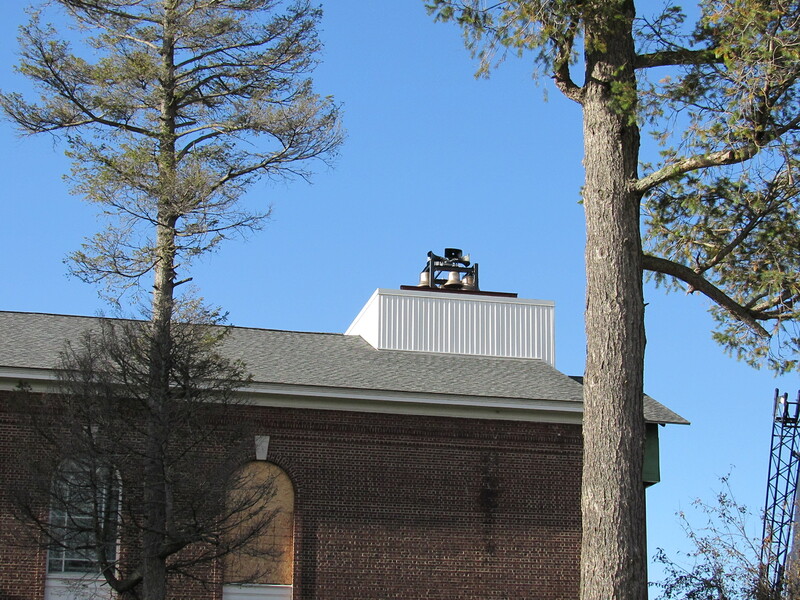 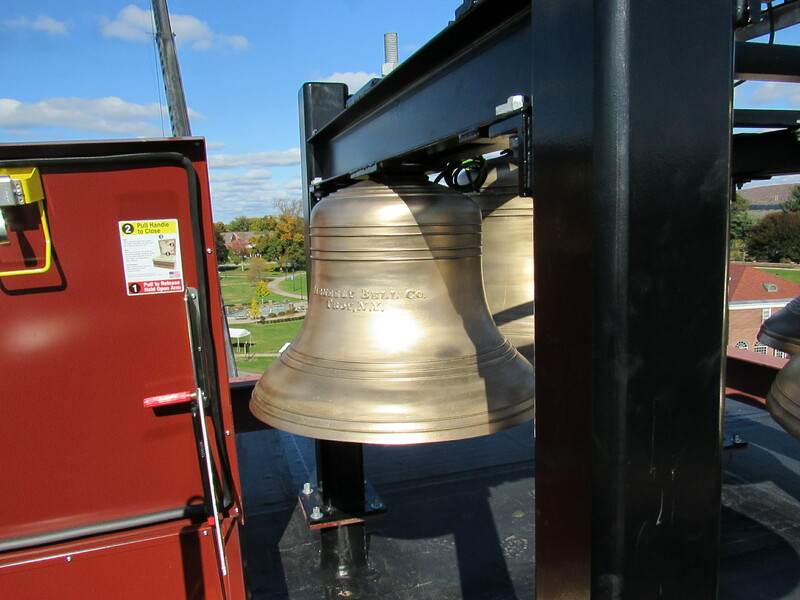 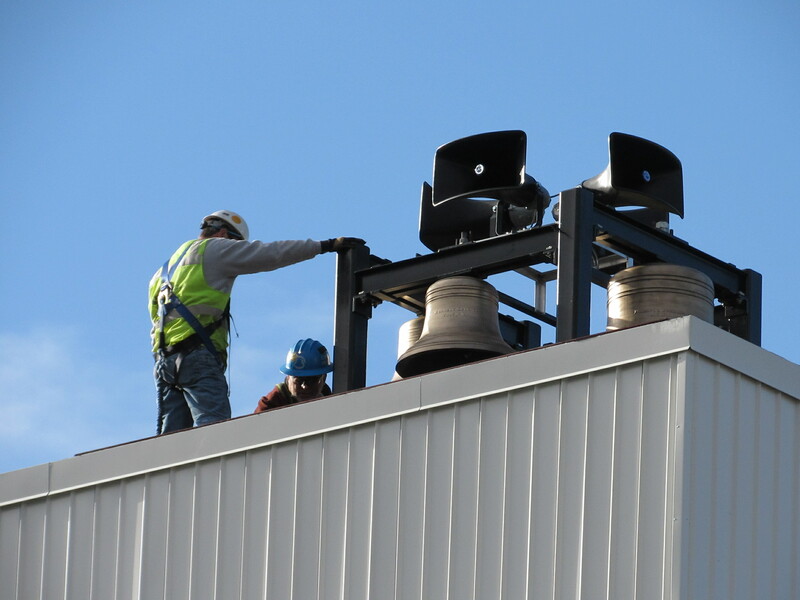 As part of the restoration, the four-bell peal was removed from the belfry. 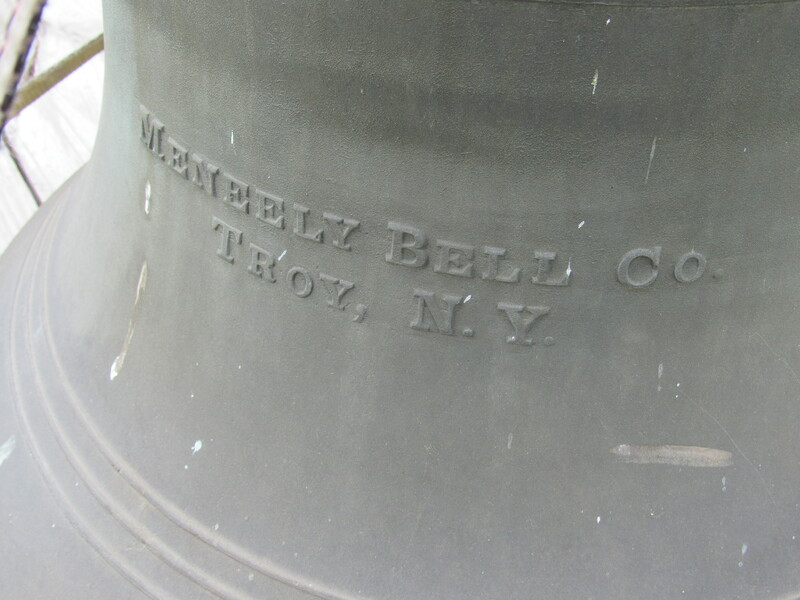 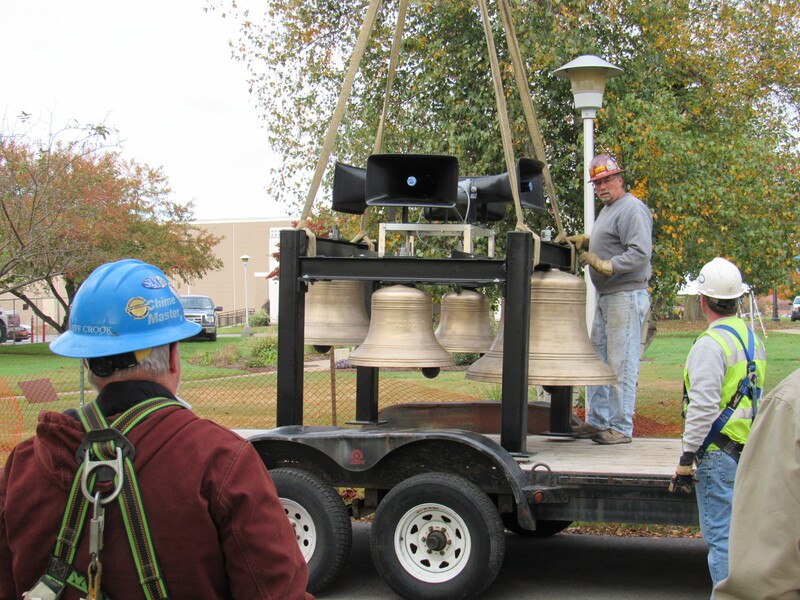 The four bronze bells were originally cast in 1926 by the Meneely Bell Company of Troy, NY. 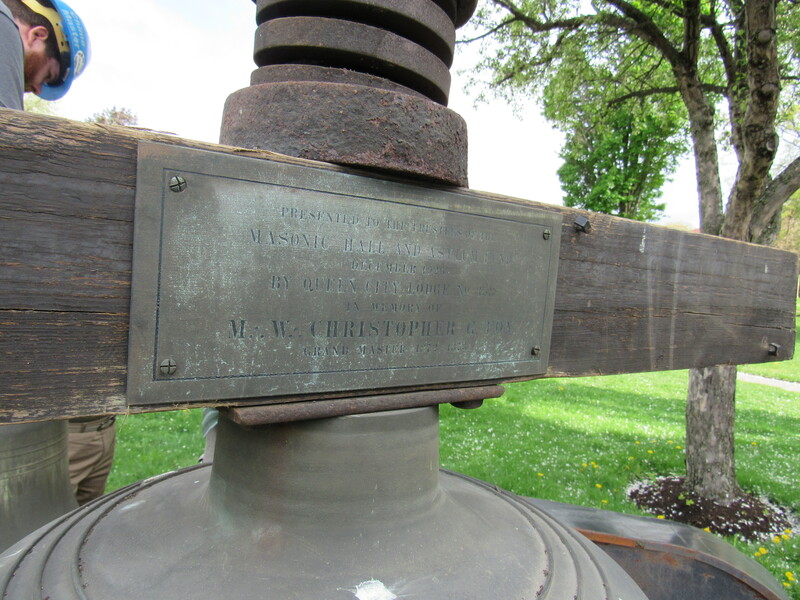 The weathered plaque noted the gift of the bells was a tribute to Christopher G. Fox, Grand Master of the Queen City Masonic Lodge, and was dedicated in 1926.